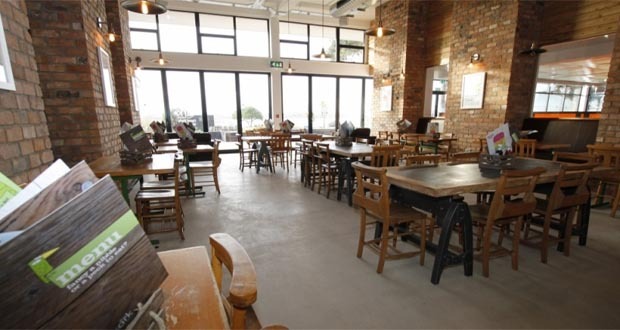 Situated in Poole Park The Ark cafe is a spacious and comfortable cafe with an outside terrace area overlooking Poole Park’s picturesque Swan Lake. Whether it’s a cup of coffee you’re after (roasted and ground locally by Poole’s Beanpress coffee company Little Red Roaster by the way!) 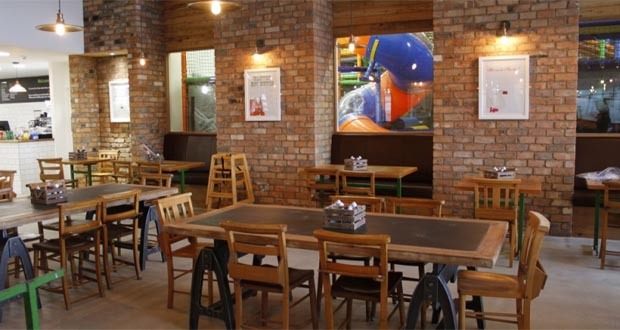 or a spot of lunch, the Ark Cafe has a great menu for both adults and children. Offering a tasty selection of scrumptious homemade snacks and freshly cooked meals including breakfast, lightbites, main dishes, afternoon tea, salads, sandwiches, paninis, jacket potatoes and wraps, you’re sure to find something here to tempt your tastebuds! And kids will love their kids menu which allows children to build their own meal from a variety of options! The Ark Cafe also has views of The Ark ice rink and soft play areas, meaning you can also relax whilst your children play. And if you fancy getting online then why not take advantage of their free customer wi-fi network. Alternatively browse their selection of magazines and newspapers whilst you enjoy your coffee. Finally enjoy a cold dessert after your meal from their ice cream parlour, offering a fantastic selection of the finest quality, Cornish ice cream from organic farmers Roskilly’s, as well as traditional ice lollies and cones.